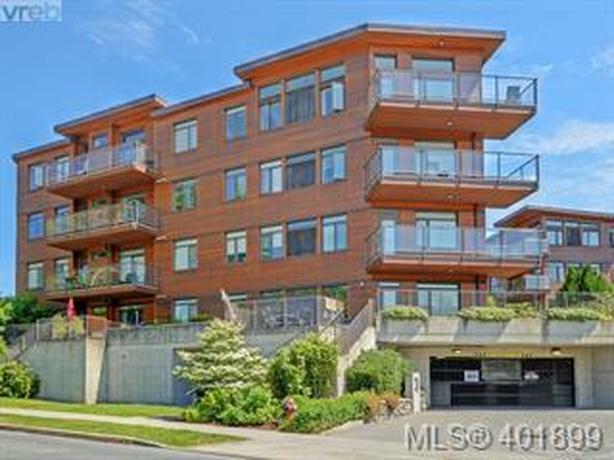 Bright top floor unit at popular Richmond Gate in the desirable Mt Tolmie area. This one bedroom and large den includes many extras. High ceilings, sky lights and wired with surround sound, are only a few extras that await you in this spacious unit. Large Master bedroom with full walk in closet and ensuite bath. The den is large enough to be used as 2nd bedroom and has a large closet. Bamboo floors, stainless steel appliances granite countertops and open concept living make this unit a complete package. Underground secured parking, bike storage and separate storage are also included. You can't beat this location's convenience to groceries, shopping, dining and theatres. Easy walk to Uvic and on major bus route.